Every year, the Inland News Group brings together experts in a variety of fields to discuss important issues relating to health, longevity and improving the quality of life. Don’t wait until you have a medical issue – learn the importance of maintaining your health. Dr. Corr will provide insight as to what the latest guidelines and recommendations are for Vaccines, Mammography, Colonoscopy and Prostate Cancer Screenings. Take control of your health! 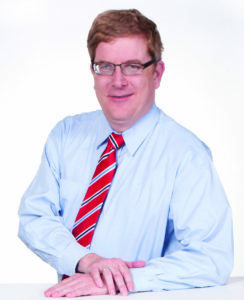 Dr. Carr is board certified in Internal Medicine with a sub-specialty in geriatrics. He completed his Fellowship in Geriatric Medicine and Residency in Internal Medicine at the Mayo Clinic, and Internship in Internal Medicine at Oregon Health Sciences University. Riverside Medical Clinic is the area’s premier health care provider with board certified physicians supported by a caring staff. 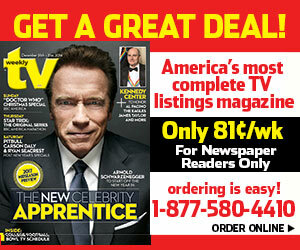 They cover just about any specialist you might need. Advanced imaging and lab services located onsite and Urgent Care Centers at various offices. Add to that health education, vision centers, pharmacy, out-patient surgery center, and you can see that you and your family have a total and complete clinic to care for you. 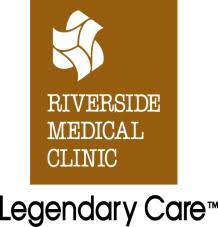 Riverside Medical Clinic is an exhibitor at the expo. This presentation will discuss the importance of becoming an active participant of your health care team and action steps needed to be successful. The goal for “leading” your healthcare team is to promote positive attitude and active participation by improving the attitudes and management of chronic health conditions that will lead to successful aging. 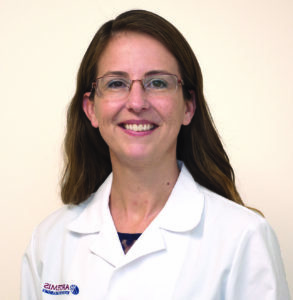 Ms. Laurean will cover the components such as Goals and Objectives to having a successful healthcare team and conclude with questions and answers from the audience. 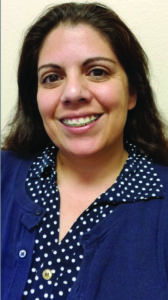 Ms. Laurean is a passionate bilingual health educator with 13 years of experience in promoting and educating children, families, and adults on injury prevention, adapting healthier lifestyles, and improving the management of chronic health conditions. She has worked at Children’s Hospital of Orange County and Health Dialog and is currently employed at Janet Goeske Foundation. Ms. Laurean holds a Master in Business Administration with a focus in Healthcare Administration from the University of Phoenix, and a BS in Health Science with a minor in Gerontology from the California State University of Fullerton. When improving your health and wellbeing she believes that knowledge is power and success is getting back up after a fall; it is never too late. 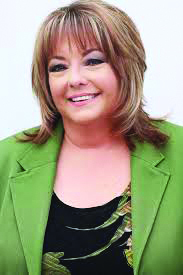 Janet Goeske Foundation is an exhibitor at the expo. Depression is a common but serious mood disorder that needs treatment. It can interfere with how you feel, think, and accomplish daily activities. Depression is a real illness – not something that you can “snap out of” and it should be treated as a medical problem. It is not a sign of weakness or a character flaw, and it is NOT a normal part of the ageing process. This presentation will review common symptoms of depression in older adults, stressors that can worsen depression (including caring for ill family members), and what you can do about it. Artemis Institute for Clinical Research conducts clinical research that advances medical treatments, providing the highest quality data in a safe and comfortable environment. Artemis was founded on being Principal Investigator and Patient Focused, as well as a commitment to the intensive training of clinical research staff. Artemis Institute for Clinical Research is an exhibitor at the expo. 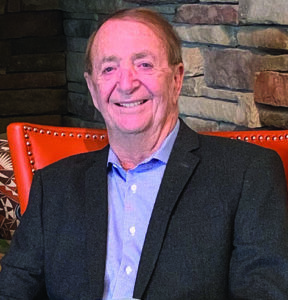 Hugh Ruggieri, President of Ruggieri Financial & Insurance Services., has been working with retirees in the Inland Empire for over 30 years. 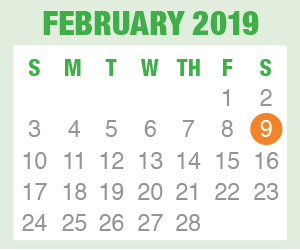 After several years of working for a major financial institution, it became apparent to Hugh that what clients needed most in retirement planning was often not available through the limited investment products available from one company. This led him to establish his own team of business partners, who share the same core beliefs of honesty, integrity and trustworthiness. The Ruggieri Financial team believe that their clients deserve access to the best companies and products available. This is rare in the financial world because they offer various types of financial advice customized to your unique situation and stage of life, whether retired or still working. They also offer comprehensive planning for estate, retirement, long term care and Medi-Cal. Hugh Ruggieri is one of the nation’s leading advisory firms. They have built strong working relationships with a network of licensed professionals in the community who can provide legal and tax advice as well. Ruggieri Financial & Insurance Services is a Sponsor at the expo. Dr. Syed W. Bokhari is Board Certified in Internal Medicine, Cardiovascular Diseases, Interventional cardiology and Endovascular Medicine. 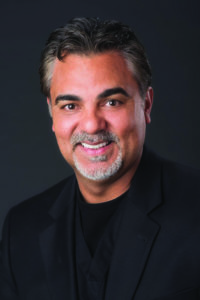 Dr. Bokhari is an Assistant Clinical Professor at UC-Riverside and has been a Former President of the American Heart Association. He is a very compassionate and dedicated cardiologist who uses state-of-the-art skills and evidence-based medicine to improve your health and the quality of life. Dr. Bokhari provides quality care, utilizing the latest knowledge and innovations required to take the best personalized care of you as an individual. Riverside Community Hospital has been serving the Southern California community for over 110 years. Through their passion of providing the most comprehensive, quality healthcare and commitment in investing in the latest technologic advances in medicine, Riverside Community Hospital has been recognized as a Top Performing Hospital on Key Quality Measures for three consecutive years by The Joint Commission. RCH houses one of the largest Emergency Room and Trauma Center in the Inland Empire, is the largest STEMI (heart attack) receiving center and is a fully accredited Chest Pain Center. Riverside Community Hospital is also committed to training the next generation of physicians through its Graduate Medical Education program. Riverside Community Hospital is a Sponsor at the expo. How many hours do you waste looking for things? Do you feel stuck in any area of your life? Do you feel you are drowning in life clutter to the point where you are drained of your energy? Does your clutter cause you stress, loss of time, money and peace of mind? Clutter affects 19 areas of your life. The results are many and deeply transformative once you begin to get rid of the clutter. In this session, you will Discover tools to eliminate the physical, mental, spiritual, environmental, body and people clutter. Get in touch with how much your life-clutter has really cost you over the years. Implement “one” easy rule and get back 7 hours a week. Realize the de-clutter secrets of getting a bigger paycheck. Learn a few simple tricks to begin to get your life back NOW! 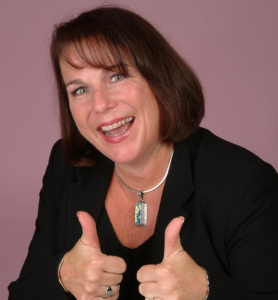 With an electrifying, comedic style all her own, Kathleen Ronald delivers empowering programs that not only motivate but also produce bottom-line results. She is a Business Growth Expert, an unparalleled networker, an internationally renowned speaker-trainer, an award-winning business consultant and poet, a contributing best-selling author and, the founder of Speaktacular! Kathleen has more than 30 years of experience providing custom, inspirational keynotes, training seminars and consultancy to Fortune 500 companies, small business, direct sales organizations, and professional associations. She has also appeared on The Doctor’s show and The Dr. Phil show. Alzheimer’s is a ruthless disease that strips individuals of their right to access their memories – memories of loved ones, of precious moments, of who they are. An Alzheimer’s diagnosis may seem hopeless, the diagnosed individual may accept his or her fate while friends and family wait for the inevitable day when their loved one can no longer recognize their faces. But it doesn’t have to be this way. Dr. Emanuel Botelho, DC, is willing to tell you what conventional medicine won’t, and that is: Alzheimer’s can be reversed. The Alzheimer’s Solution-How to Prevent and Reverse Cognitive Decline and Alzheimer’s Disease serves as a comprehensive guide where Dr. Botelho outlines what you can do to regain control over your health. By providing you with strategies that will help you pinpoint the root cause of your disease as well as cutting-edge treatment approaches, Dr. Botelho will help you travel the road to recovery. This is not a time to give up; this is a time to fight back, and victory starts here. 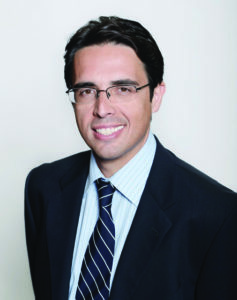 Dr. Emanuel Botelho, DC, is the owner and clinical director of Dr. Botelho & Associates. He has extensive postdoctoral training in Functional Medicine and Clinical Nutrition. He has been in private practice for over 20 years and has helped thousands of patients who have suffered from devastating and life-altering effects of chronic disease. Motivated by his personal experience with Alzheimer’s disease and his mission to help eradicate this disease has led to the genesis of this book. He is passionate about helping his patients with Alzheimer’s and cognitive impairment to reverse their conditions and reclaim control over their lives once again! Dr. Botelho is a Member of the institute for Functional Medicine and is currently working on his diplomate in Functional Medicine. He is a published author and has spoken both nationally and internationally on the topic of health and wellness. Dr. Botelho, D.C. & Associates is a Sponsor at the expo.